When you’re not in the school bubble quite yet, the Easter holidays can most definitely take you by surprise. Suddenly the usual playgroups aren’t on and all the places we usually go to that are deserted just a few days before are choc-a-bloc! 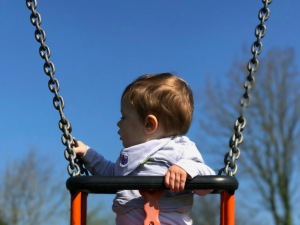 So whilst we’re all on our usual weeks (no holiday breaks here from work or nursery), there are no swimming lessons to break up our days off and no playgroups to see friends at… it’s strangely liberating! This week, we made the most of the sunshine and headed to a local country park with friends. These are the ladies I met at the first baby group I went to, way back in those early days of motherhood. If I could have told that nervous version of me lingering outside of the town hall that I’d meet friends that would last me years, I wouldn’t have believed it. And yet here we are; nearly three years in with far too many kids between us. In fact, I had to pinch myself that we had seven kids with us for the day out… SEVEN! We’ve made it to the farm shop this weekend to eat far too much, say hi to the lobsters at the fish counter and meet the animals outside. 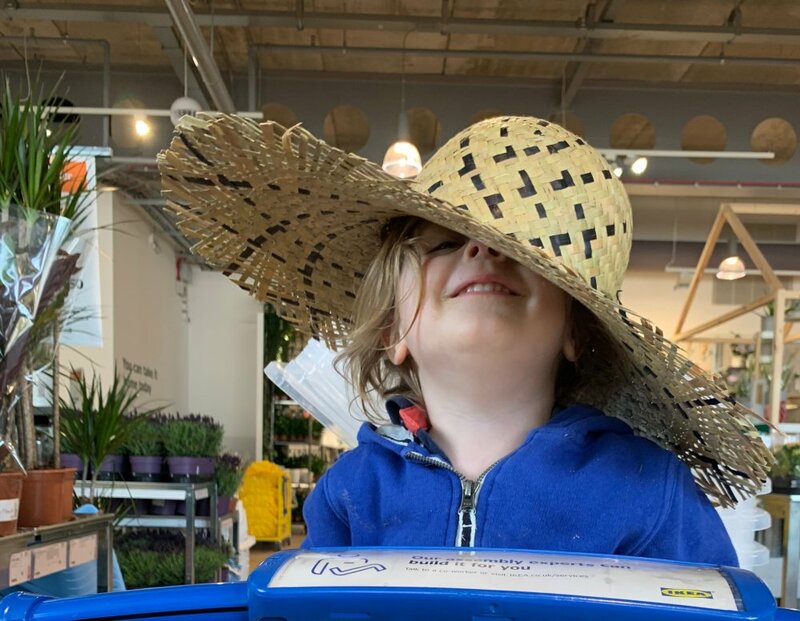 We’ve survived an egg hunt around Tesco, done breakfast at the beach and even managed to live through a trip to IKEA – I might even call it enjoyable! 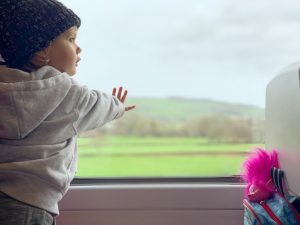 It’s been a lovely week packed with adventures with my favourite people, even if I’d quite like to get a little more sleep. Think we might need to instigate family nap times going forward! I have absolutely loved watching this guy this week. Our day out meant I got to watch him playing with some of his friends and roaming free. He’s so confident at the moment when he’s around people he knows and I love seeing it. He’s cheeky, bossy and brave; when it suits him, of course. He’s taken to big brotherhood like an absolute pro but it’s certainly had it’s moments over the last week or so when he’s been competing for attention. The bigger his sister grows, the more involvement she wants to have in his play and he both welcomes and dislikes it in equal measure. 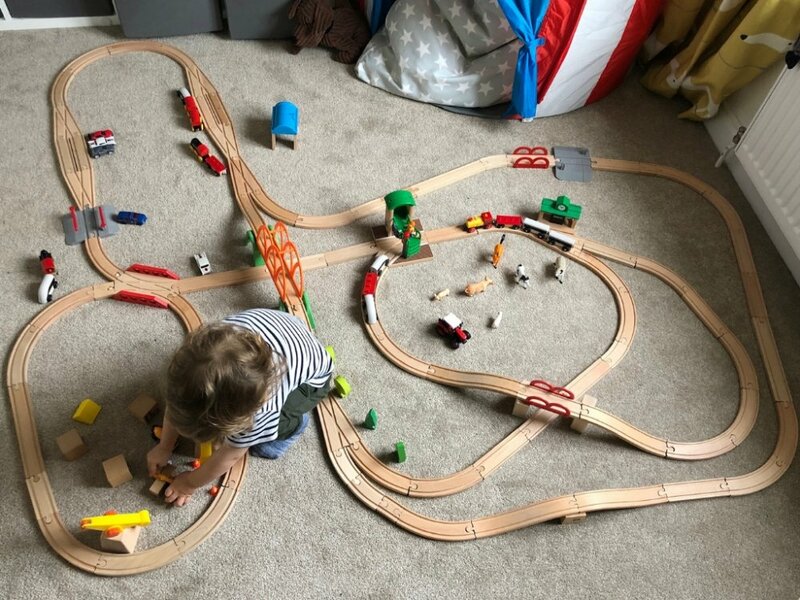 He’s all about the intricate train tracks right now and unfortunately a baby just doesn’t understand that you can’t pick up the pieces and start eating them whenever you want! Not only that but he doesn’t want to miss out on anything; put simply, if you pay her attention, he’ll come running but hates it the other way round. It’s tough being a big brother at times isn’t it? That aside, he has been a pleasure this week. He had his hair cut again and for the second time sat as still as a statue whilst they trimmed it. 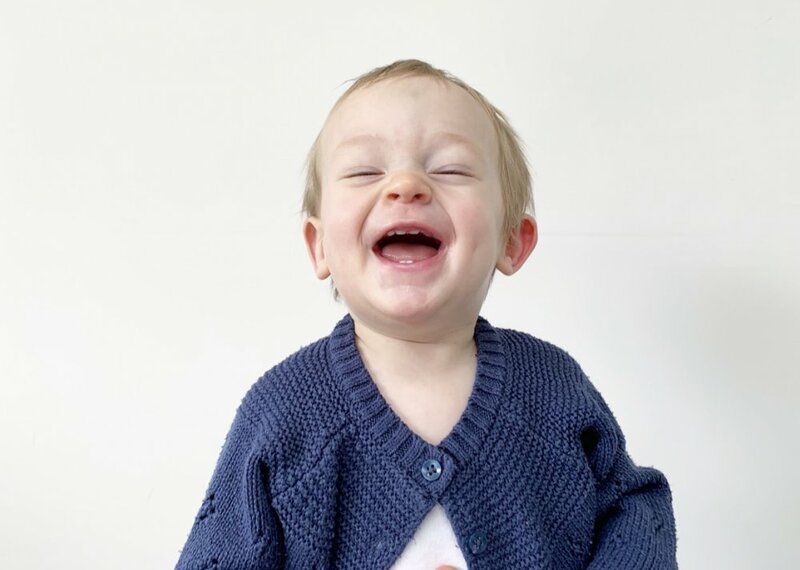 The shortness means he looks far more grown up – something I remedied by plonking him in a big snowsuit when we went for a walk in the cold – who would have thought that our soon to be three year old would comfortably fit inside an 18-24 month suit! He’s also been milking his dad for new toys, knowing that he’s the soft touch of the family. As a treat for the haircut he got some new farm animals which he was adamant he wanted to hold and play with immediately. 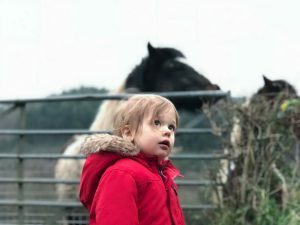 Would he look at the actual farm animals we walked around pointing out to him?! No… far more interested in the boxed up ones he was cradling! This week he’s been attempting to learn to tell the time, the kid is an absolute sponge these days and can do the hours bang on already. It reminds me that I really need to be careful what I say around him now as he’s constantly soaking things up and coming out with different phrases… my favourite? 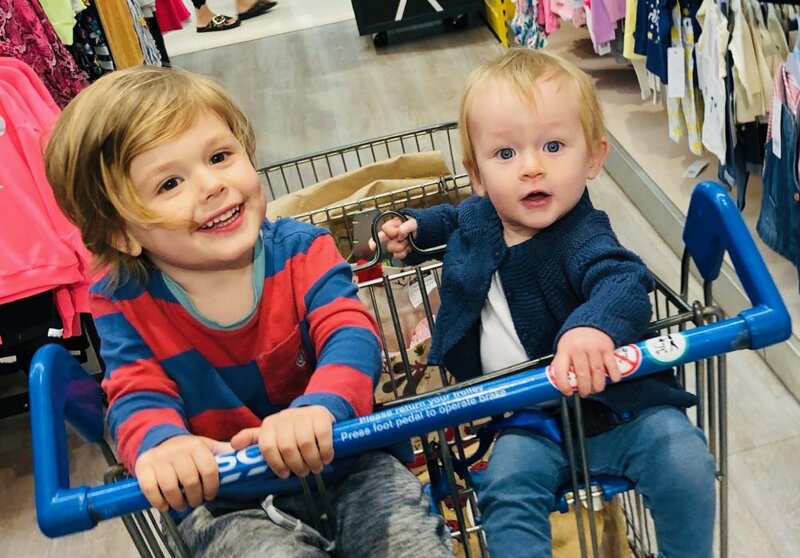 ‘I didn’t do a fart, I was speaking out of my bottom’ – toddlers, eh?! All I can say is he bloody bonkers at times but my goodness do I love him for it. I think the highlight this week has to be our attempt at nailing passport photos. Before you ask, we have absolutely nothing booked in to leave the country for but we’ve finally started thinking about it. 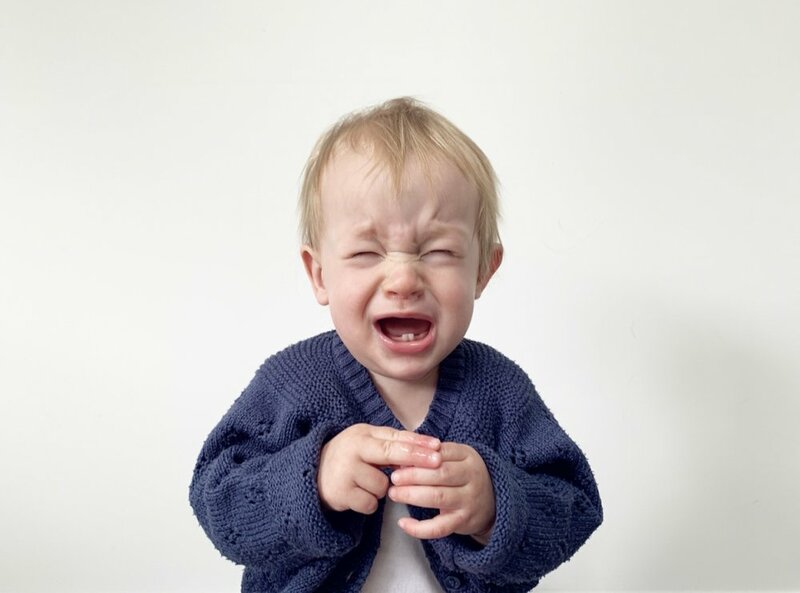 Since the last time we applied for a baby passport they’ve changed the system which means that you can now apply online entirely for a first passport; photo and everything! 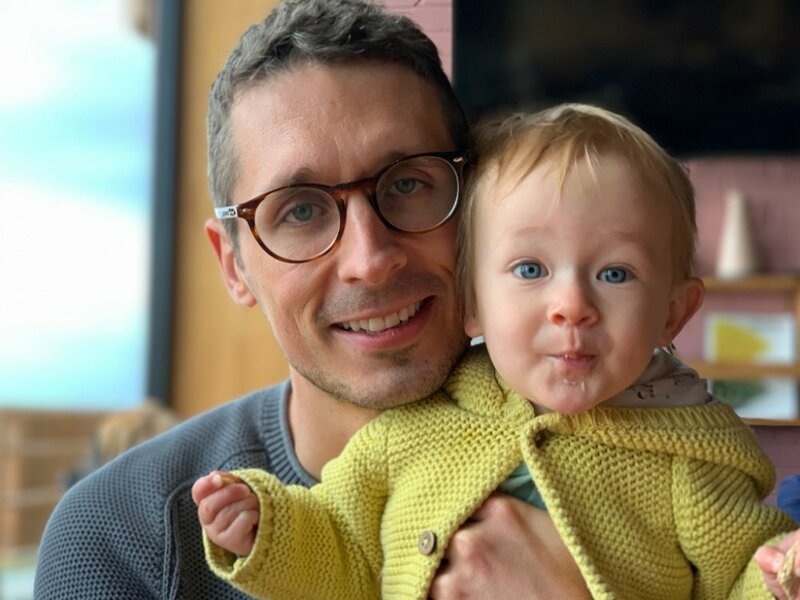 Gone are the fond memories of me crouching in a booth trying to hold a baby’s head up and get them to look at the camera in between flashes (an actual nightmare, as any parent will attest!). Instead this weekend we just plonked the baby in front of a white wall in our house and took as many photos as possible. Easy, right?! Wrong. It was like she knew! I have a phone filled with literally hundreds of photos of her; crying, moving, laughing, chewing… anything but looking roughly in the right direction. Thank goodness the guidelines for babies under one are more relaxed! Aside from that, this week she’s been a bit off for her; less chilled than normal and decidedly more grizzly. She has another tooth appearing so I’m putting it down to that and a couple of the bumps she’s gotten from her attempts at walking including a vicious one right in the middle of her forehead. That said, she’s still smiling! It’s deceptively hard isn’t it? I looked back at my son’s one, it’s awful, I don’t know what we were thinking! !